The 30 before 30 list. I got this idea off another blog that I follow, Joy the Baker. She recently posted an update to her 30 before 30 list, actually, 30 things for 30 list, and I was inspired. I will be turning the big 3-0 in a mere 9 months. Emotionally, I’ve been up and down about it, more down as of late because I feel like there was so much more I wanted to accomplish before I left the more carefree 20’s and ventured into the more serious 30’s. Therefore, I’m going to start working on one. Not necessarily a 30 before 30 list, but maybe an evolving life list broken up by decades, and to be filled in as I reach certain milestones. So, when I do turn 30, I will feel like I’ve accomplished something as opposed to feeling like I fell behind. As I think about this list, I did do something this past week that would have made it on the list, and now can be satisfyingly crossed off. Treat myself to an exorbitantly expensive dinner, out of my own pocket. 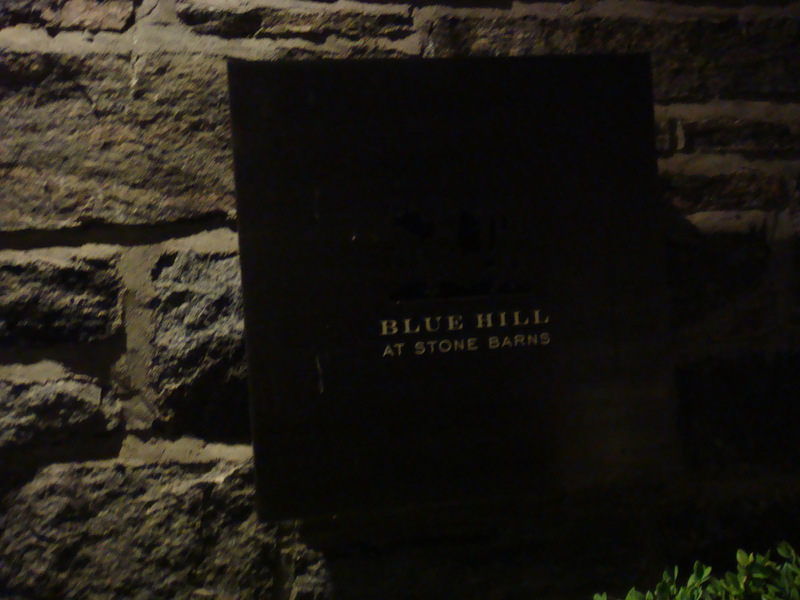 This exorbitant dinner took place at Blue Hill at Stone Barns, located in Pocantico Hills, NY. 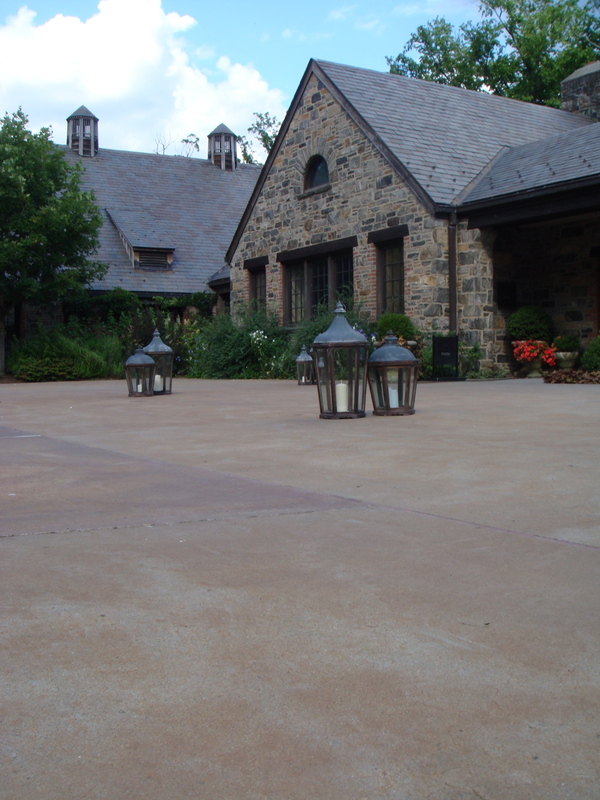 This restaurant is located at the Stone Barns Agricultural Center nestled within the Rockefeller Preserve State Park. 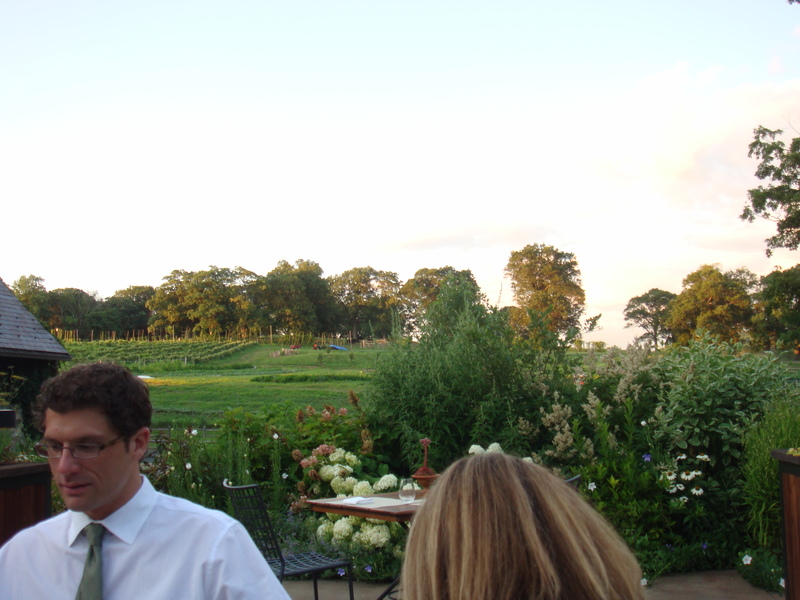 Spending many hours running around that park, Stone Barns was always a joy to run by and watch the farmers tending to the vegetable crops and by the cows and pigs the roam around the surrounding land. It was as close to a working farm as I could get, peaceful, green and beautiful. So, when my friend Claudine invited me to dine with friends as her last big dinner before the baby, I said yes with no hesitation. The bookshelves can wait as I put the money for them towards this dinner. The main dining area is in a converted dairy barn. The room was airy with exposed steel beams and high ceilings. As we settled into our table, we were presented with a menu. It wasn’t really a menu, but literally a price list. The only choices you had to make here was what you wanted to drink (water), how many courses you wanted that night (5 or 8, difference being variety, but amount of food being the same) and if you wanted to add a cheese platter (no). We chose 8. I figured, I’m here, might as well go whole hog. Freshly picked radish pods, are pleasantly spicy. I don’t care for beets, but that salad with the yogurt and fresh strawberries have turned me. House made ricotta cheese from free roaming pasture cows is now something I will always dream about and miss every time I’m eating ricotta straight out of my Polly-O’s container. Fresh farm eggs have delicious yolks. Best when minimally cooked. Something I already knew, but this really hit it home. I will no longer been cooking those eggs through anymore! That pasta was amazing. 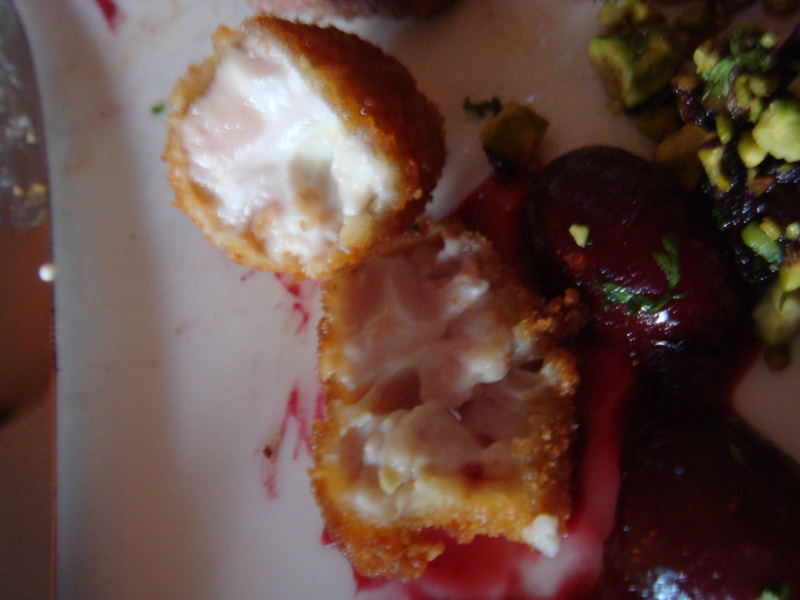 That will also join the ricotta in the dream. I can now add brain into my growing list of odd things that I have eaten. 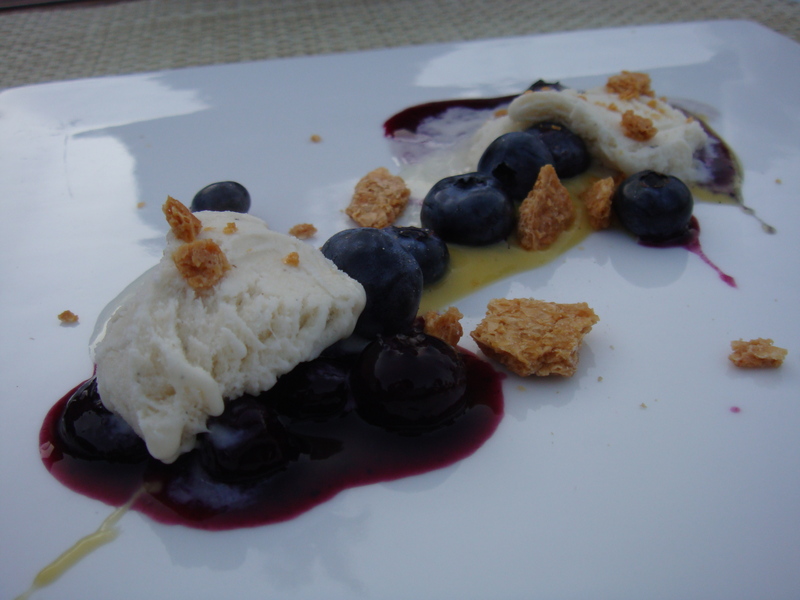 Corn and blueberries make a wonderful combination. Corn ice cream does work. Rhubarb and red wine make a wonderful dessert combination as well. Something to keep in mind when I start experimenting with rhubarb in the future! We moved outside to the terrace for dessert. 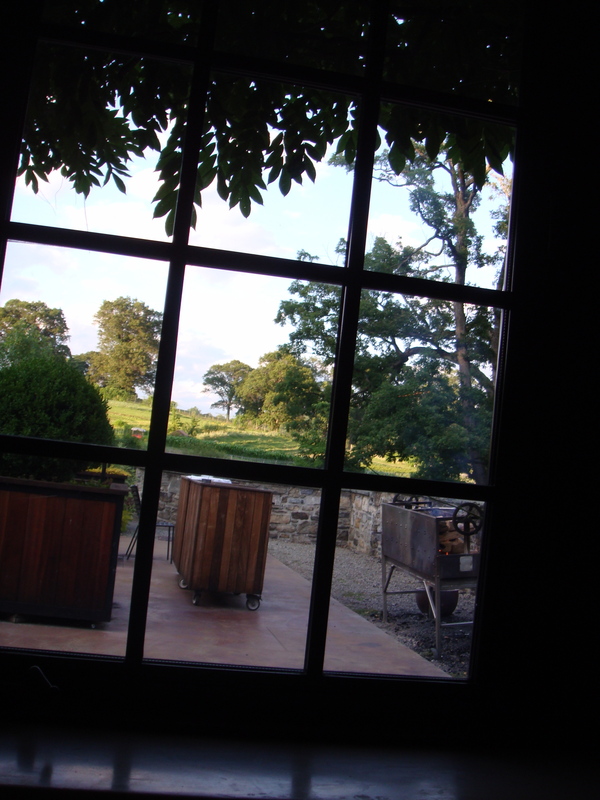 The sun was setting and we were looking out into the vegetable fields where the fireflies were starting to come out and provide nature’s sparkling lights, or as it was also termed, “Farm Fireworks”.